Join us Sat. May 19 at 1pm behind the complex for our local community event as part of the Science Odyssey celebrations across Canada! 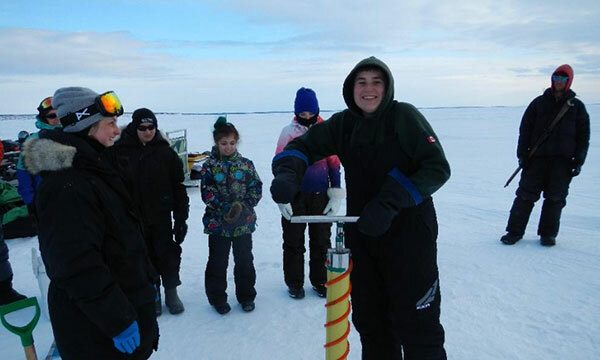 Everyone is welcome to this family friendly activity where we will venture out onto the sea ice to learn about the frozen ocean water of Hudson Bay. We will explore the sea ice physical characteristics, sea ice as habitat for marine species and life under the ice. The event location will be subject to weather so watch our social media pages for any alerts on the day in case we need to move the event indoors!